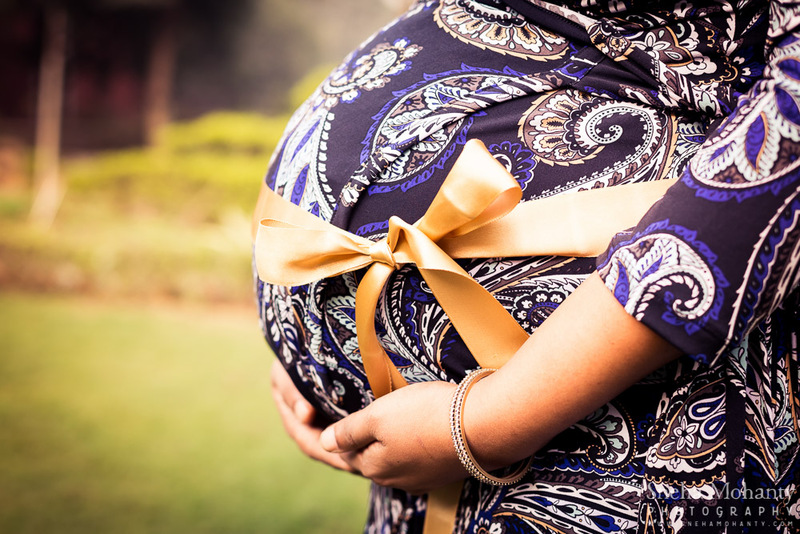 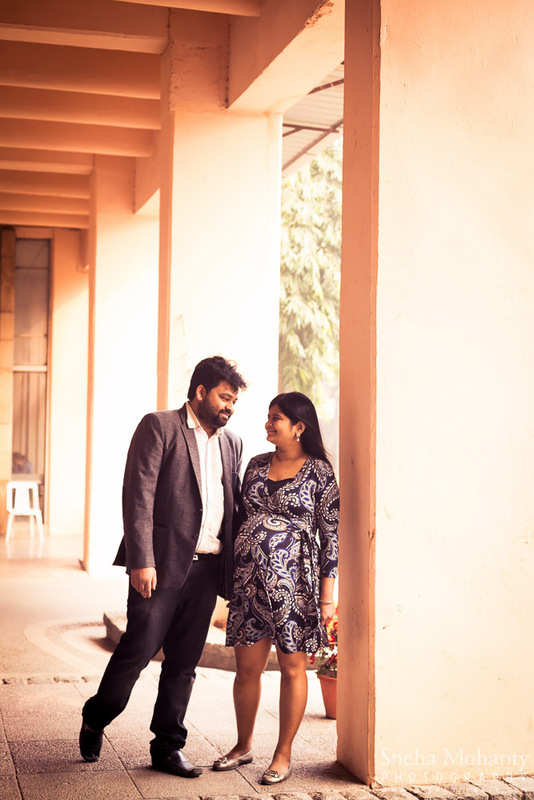 This maternity photo shoot was a super personalised photography session. 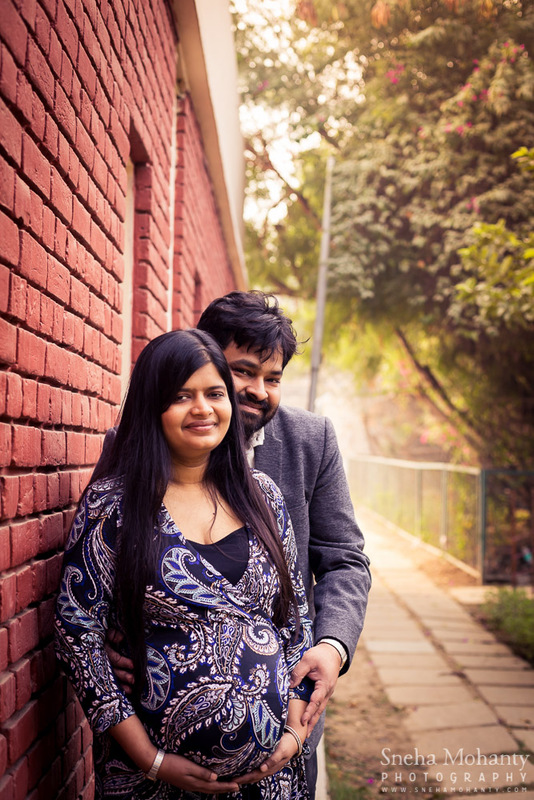 Tanushree and Aditya met at IIT, Delhi – that’s where they got to know each other. 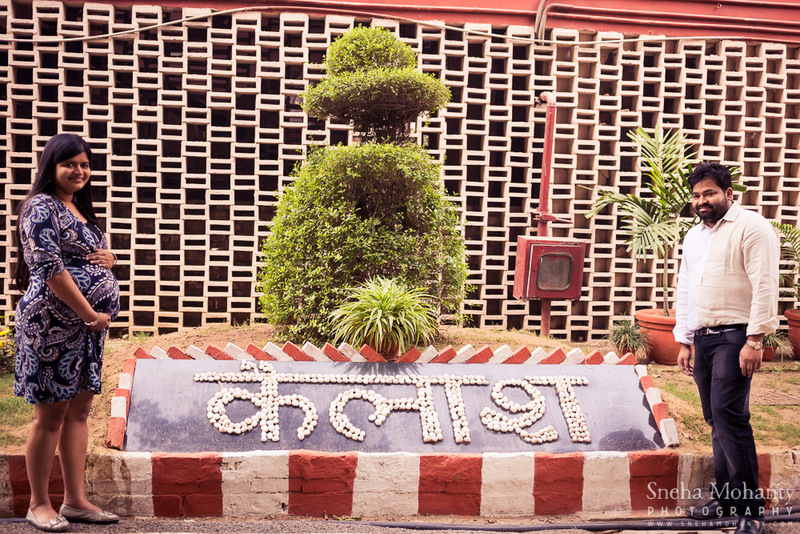 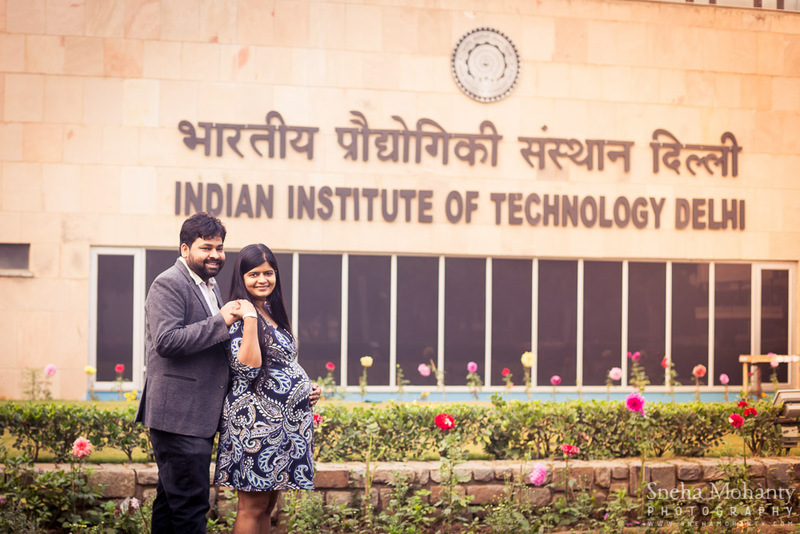 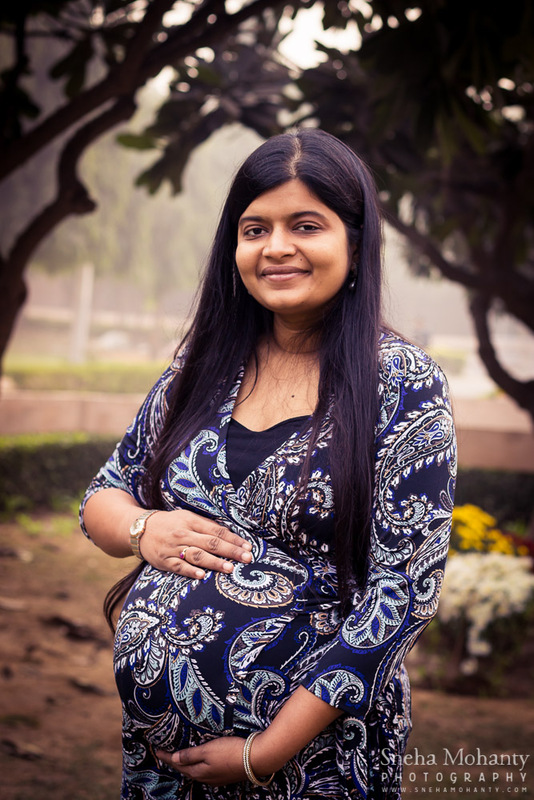 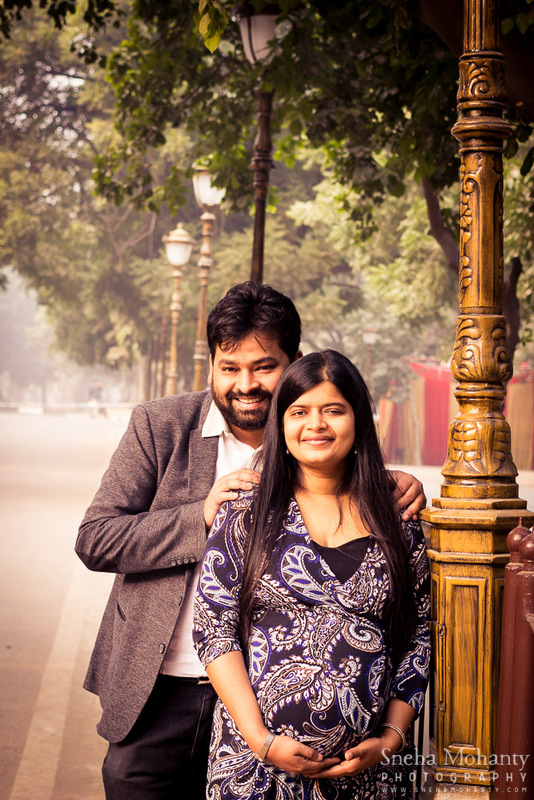 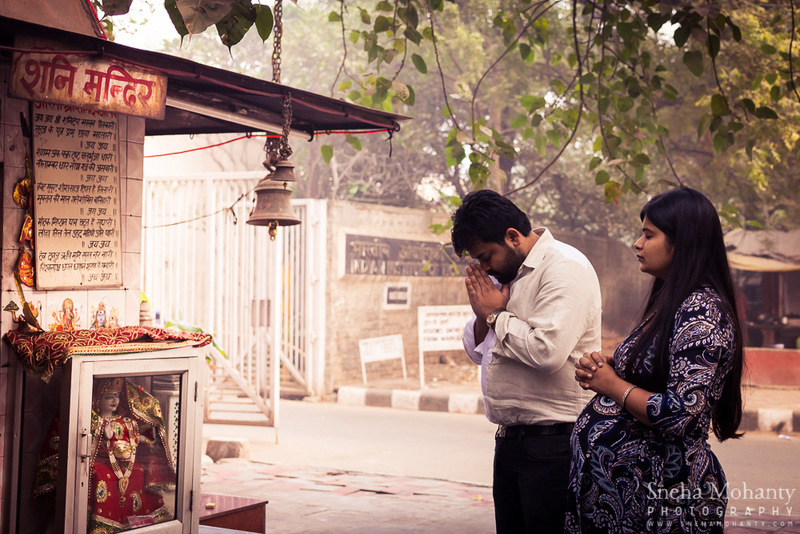 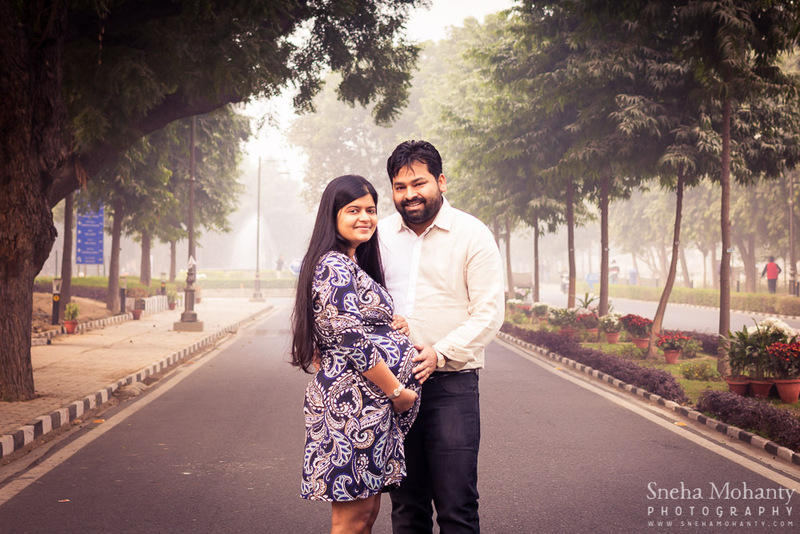 Now, 10 years post college and many years post wedding, while expecting their first baby, they chose to get their maternity photography session done at their beloved alma mater – IIT Delhi! 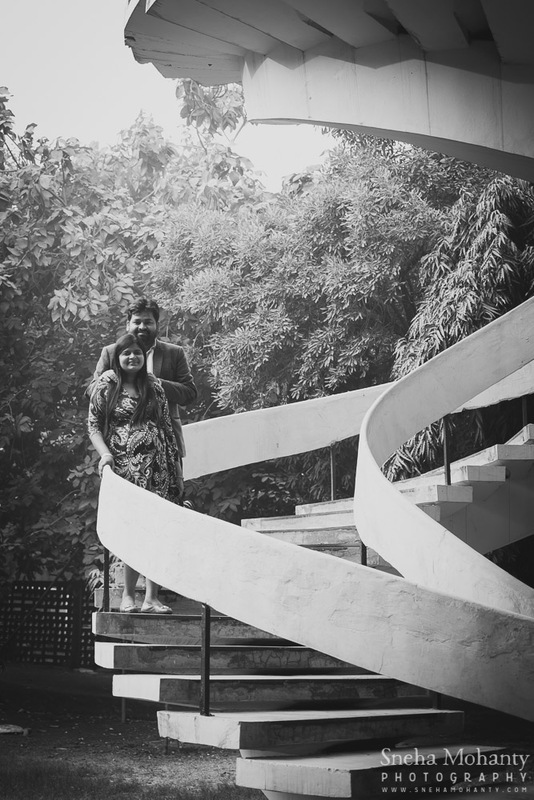 This was one shoot where I had really not done any venue reconnaissance earlier – there was no need because Tanushree and Aditya knew exactly what they wanted to incorporate in their shots, and the memories they wanted to preserve. 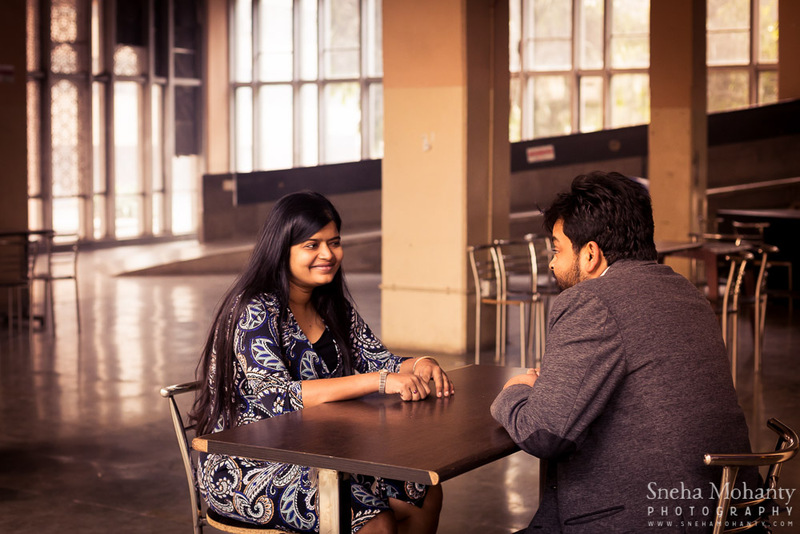 So I followed their lead during the shoot. 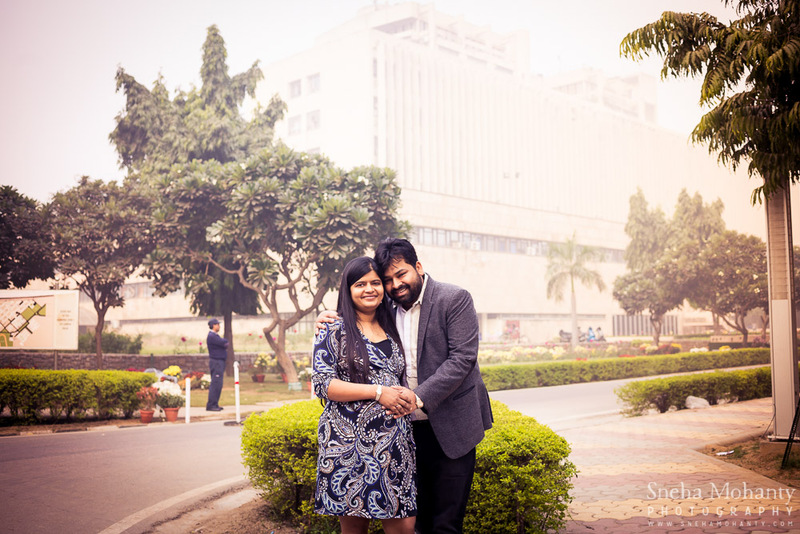 We met at the main gate which leads into the campus and is a spectacular sight to behold especially early in the morning. 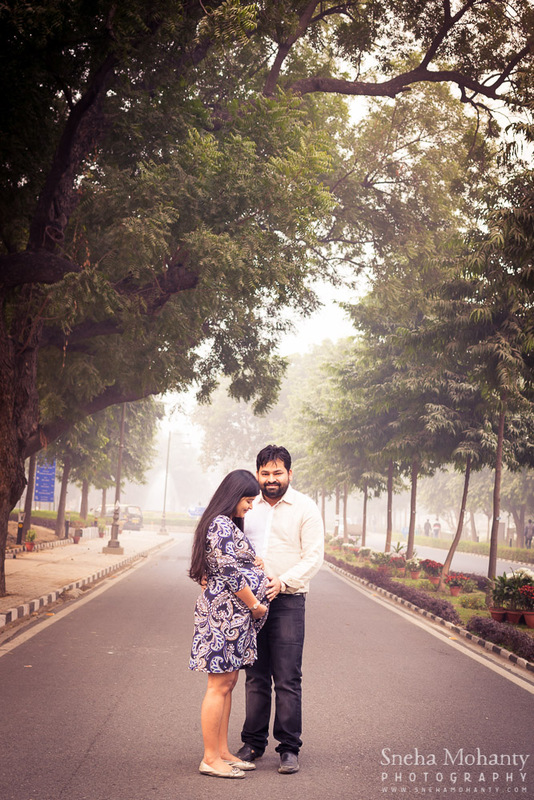 So, of course, we had to get a couple of shots there. 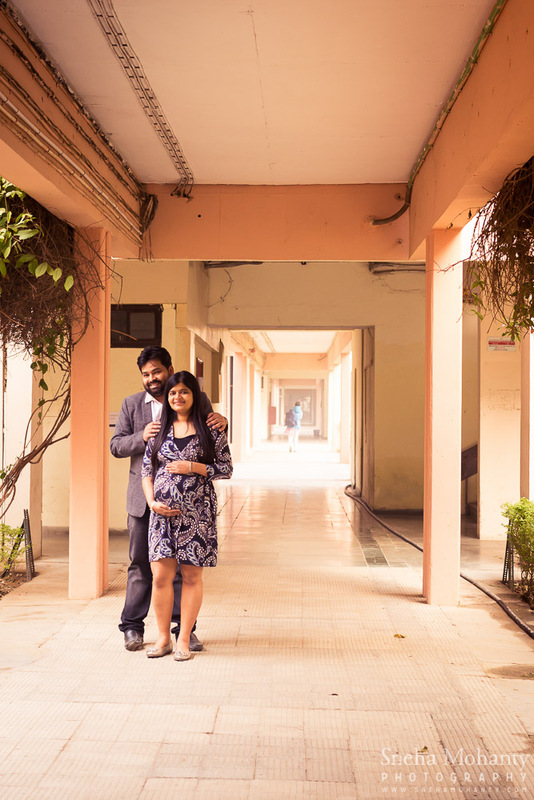 Then we moved on to the hostels where Tanushree and Aditya used to stay during their time at IIT! 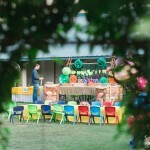 We even made a pit stop at the cafeteria!! 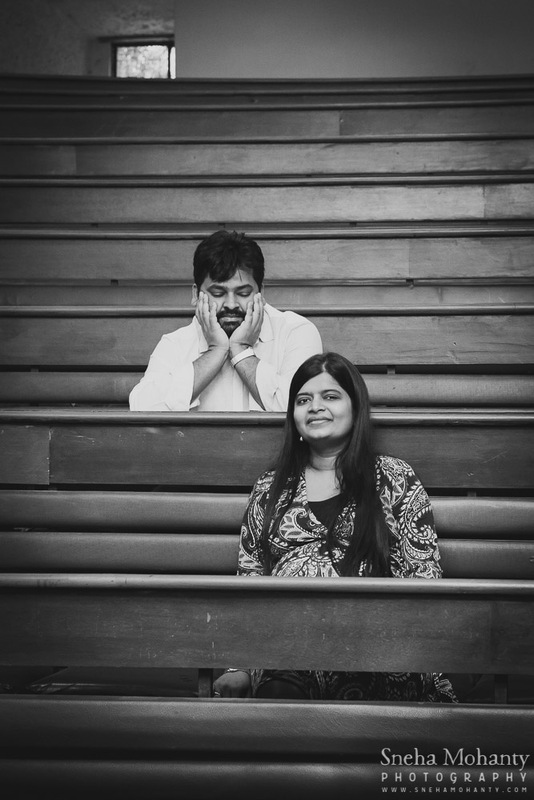 And of course, the class room which these two shared! 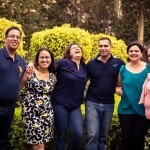 Family Photo Shoot Gurgaon, Family Photographer Gurgaon, Delhi | Kapurs Family Reunion Photo Shoot! 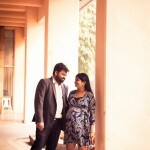 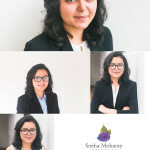 Baby Photography Delhi, Baby Photography Gurgaon | Cocktail Party to celebrate 6 months of Rudra! 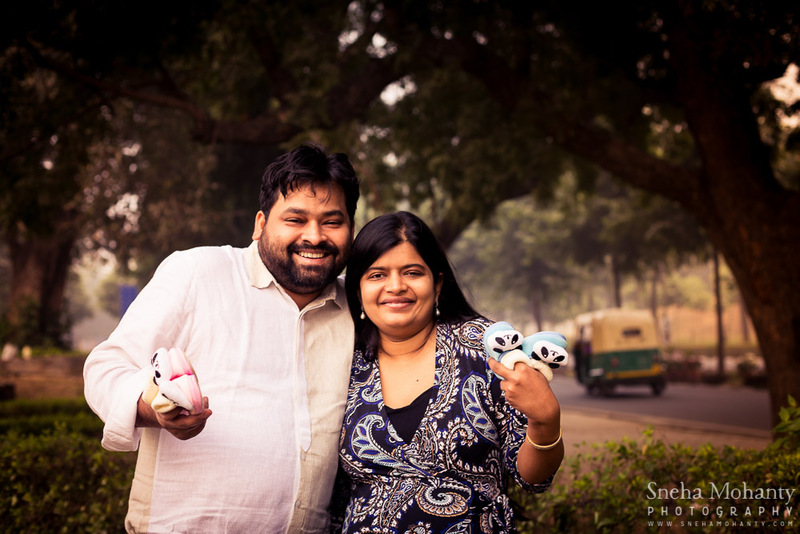 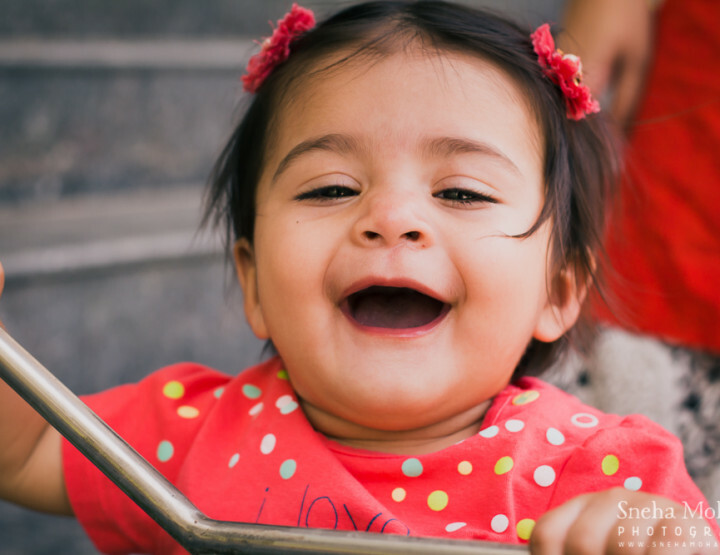 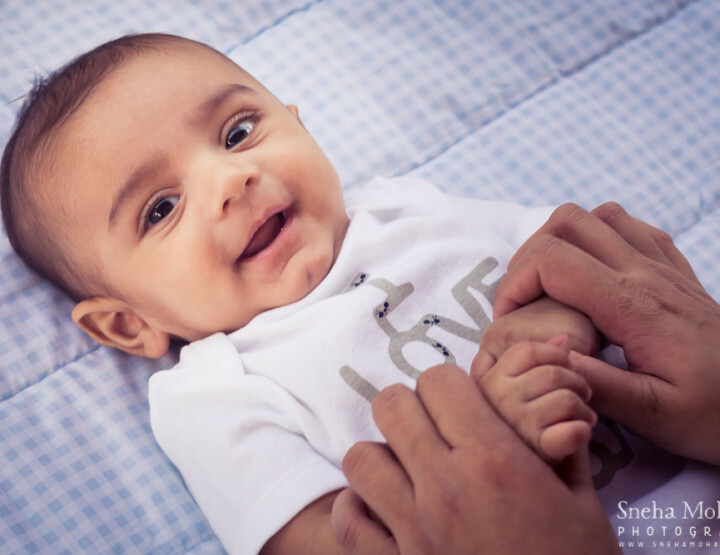 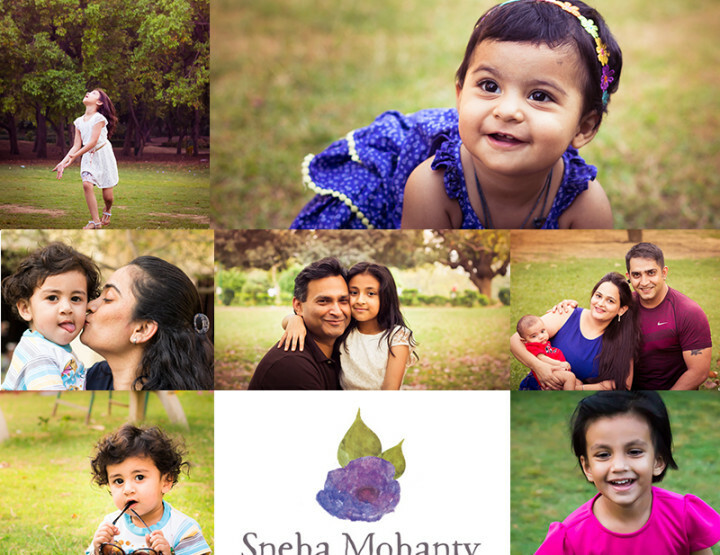 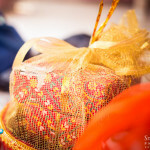 Baby Photographer Delhi, Baby Photographer Gurgaon | Diwali Special Mini Session Day!